Please read before contacting me about a kitten, thank you. If you have fleas, mites, fungus, or parasites of any kind on your animals please do not inquire. 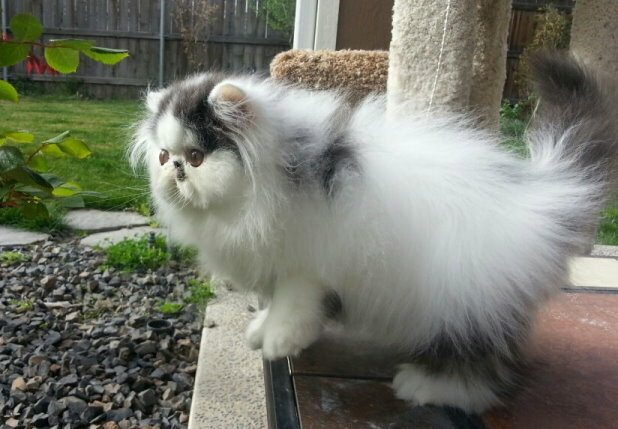 Kissables kittens are placed in loving home environments for small breeding programs only. Please include a brief introduction of yourself and your breeding program on all inquires, thank you! Please take the time to read the KISSABLES SALES CONTRACT. It is assumed this contract has been read and is agreeable to you before any inquires are made to me. Always, SPECIAL PREFERENCE given to USA inquiries. Beautiful expression, large orange eyes, perfect nose placement, low set and small ears. Lots of coat factor on this baby. Very sweet personality. Please click The Pets page for more info on available pet kittens. Excellent personality, very gentle boy with great eyes, cheeks, head and coat. Will make a wonderful home companion or a fun show prospect in Premiership. Please note: ALL DEPOSITS ARE NON REFUNDABLE. Deposits are accepted in good faith as you are committing yourself to that kitten and I am considering the kitten reserved and turning away other potential buyers while caring, grooming and feeding for that kitten on your behalf. Deposits are required to hold a kitten for you. ABSOLUTELY NO CASH REFUNDS ARE GIVEN AT ANY TIME FOR ANY REASON. 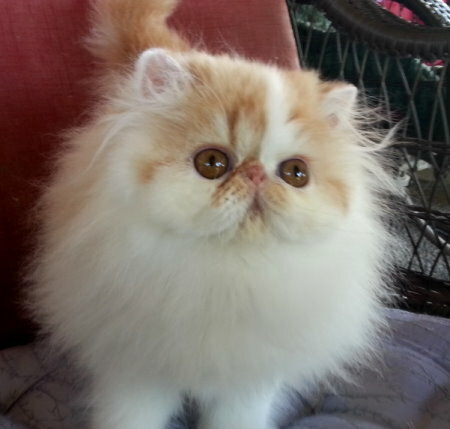 Purchasing a lifelong member of your family is a serious decision so please be sure you really want a Persian kitten. Paypal payments accepted for all major credit cards, just please cover the 3% paypal fee. Email me for quick and easy invoicing.